Regional Group 2019 events now appear under the events tab at the top of this page and are updated when details are made available. The British Clematis Society (BCS) exists to promote the cultivation and preservation of clematis. 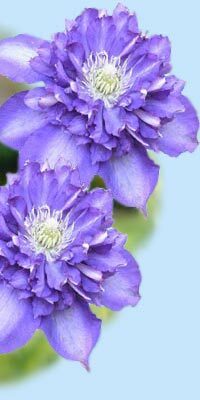 In particular, we aim to encourage all gardeners to grow and enjoy clematis - with the emphasis being on enjoy ! Use this site to find out where you can see clematis or perhaps use its advice to help you get the most from your garden plants. If you are having a particular problem that this site cannot answer then why not contact us and perhaps we can help.